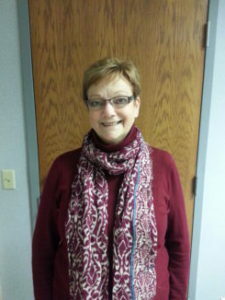 Our Greatest Assets: Judi Thoma – Dyslexia Reading Connection, Inc. Please meet Judi Thoma. Judi has been tutoring with Dyslexia Reading Connection since October 2014. Prior to working at DRC, Judi was a teacher of grades 1-4 at Peace Lutheran School in Green Lake, WI and later at Emanuel Lutheran School. She also taught preschool for four years and music education for grades 1-8 for her last four years of formal teaching. She taught piano, organ, and guitar lessons from 1973-2012. Judi is still an organist and pianist today at Peace Lutheran and Emanuel Lutheran Churches. I LOVE CHILDREN and TEACHING!!! I told Pete Ducklow, former Executive Director, when I started if I didn’t need money to exist in this world, I wouldn’t even need to be paid! When my mother first told me I was a “born” teacher, I thought she was crazy! Little did I know how right she was! I DO love teaching and watching children “catch on” to what seemed a mystery before! It’s awesome! I just love the “one-on-one” with the students that I was never able to give in a contained classroom. How often I wish I could go back and help some former students who I knew needed that attention, but it’s impossible when you have 25 to 30 students in a class. Here, I am able to directly meet the child’s needs, in the best way each one is able to learn. How does tutoring make you feel? FANTASTIC! I often am very tired at the end of the day, but the euphoria from the days’ little victories and accomplishments get me safely home. I am humbled to see that in some small way I am helping these extremely gifted and special children make such marvelous strides in their learning through Susan Barton’s wonderful program. When I received a special card in the mail with a gift card, thanking me for helping their child go from, “I hate school,’ crying every morning, being in the bottom reading group, to receiving top honors in the class, being in the best reading group, and loving school! I treasure that card and always will! I am married to a wonderful husband of 40+ years, Steven, who has certainly kept me on my toes with this health the past two and a half years. We have a wonderful son, Adam, through the gift of adoption; he’s 34 now, living in Milwaukee. We have our other “son,” Elvis Presley Thoma, our Springer Spaniel, who is soon to be 8 years old. My favorite hobby is to be outside. I was born and raised in Ellison Bay, WI (Door County), so I naturally love the water. I love all four seasons, cross-country skiing in the winter, gardening in the summer, harvesting in the fall, and doing a lot of hiking and walking all year long. I love to exercise and stay in shape! I love being with my extended family, my 4 siblings, all my friends, and the VERY special co-workers! Music is HUGE part of my life and always has been! My Sunday school teacher, Mrs. Anna Schultz, was an inspiration to me, as was my mother; for their incredible faith through some of the most difficult situations I’ve ever seen anyone go through. My greatest inspiration is Jesus Christ! What a great testimony, Judy.